The Pentagon’s No. 2 civilian leader strongly advocated the U.S. Army Futures Command and its leader, Gen. John M. Murray, as a key component in not just making the Army, but the nation as a whole, ready to “dominate and win” in the emerging great-power competition. “This isn’t just Gen. Murray’s project for the Army. 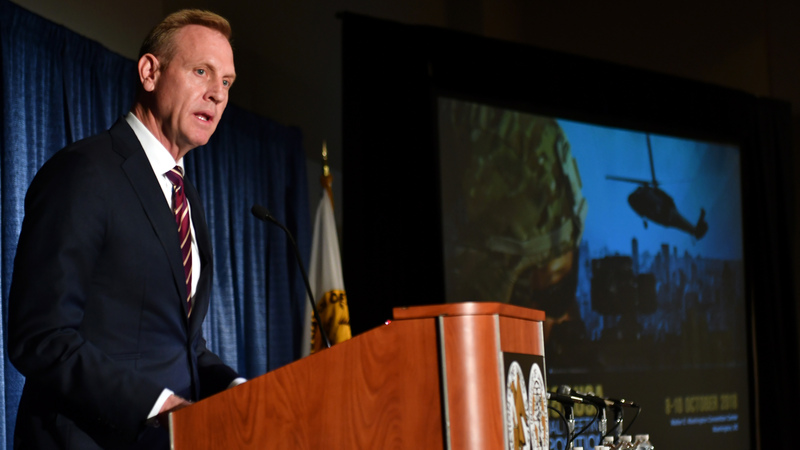 This is about defending the nation,” Deputy Defense Secretary Patrick M. Shanahan said Oct. 10. “The Army has more than a vision and a strategy, you have a plan and that plan gets better every day. When it comes to reform, the Army is serious and focused. Instead of saying slow down, they’re pushing to go faster,” he said. “To develop next-generation doctrine, organization and programs to deter Russia and China, the Army created Futures Command, and placed it under the command of Gen. Murray, whose experience uniquely meets this challenge,” he said. He also called for experienced and innovative leaders and said, “we must make the acquisition system we have work for us,” and not use its inefficiencies as an excuse.